Advanced Disposal Services (ADS) is Blooming Grove's trash and recycling hauler. Their collections take place on Mondays in Blooming Grove, except when holidays fall on a Monday. In that case they pick up on Tuesday. Trash must be placed in your cart and wheeled out to the street on collection days. Recyclables should also be placed in your recycling cart and wheeled to the street for collection. The 2018 schedule of trash and recycling pickups can be found under "Forms and Permits" under the "Community" tab above. ADS also picks up large items like appliances, construction materials, lawn mowers, and furniture. Residents must call for special pick up of these items since there is an extra charge for it. If you have items that do not fit in your trash or recycling carts, please contact ADS at 251-7878 for an additional pickup. The price list of special items can be found by clicking the following link. Have you ever wondered what you can and can't put in your recycling? We have that information here as well. Click Recycling Guidelines for the recycling guidelines according to ADS. If you need a new cart, would like to set up a large item pickup, need more information, or have problems with trash/recycling pickup contact them at 251-7878 and they'll help you out. If you're looking to get rid of your mattress, check out https://www.tuck.com/mattress-disposal/. http://www.farmandfleet.com/products/441610-lawn_and_leaf_bags.html?lref=%2fcatalog%2ffind.aspx%3ft%3dpaper%2bbags#.TzQxqlzOV2A to make yard waste collection more efficient. 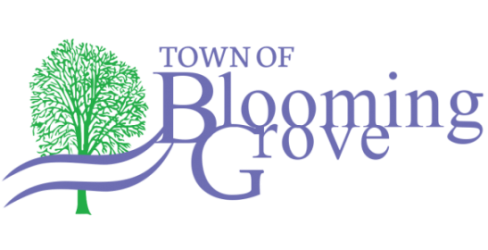 The Blooming Grove brush collection program serves property owners who maintain their own property, and is provided throughout the year. Chipping is done according to the schedule below with exact days or dates not predetermined. Weather, other priorities, and availability all dictate exactly when chipping is done. Remove all roots, stumps and dirt. The diameter of the branches must be 5” or less. Stack brush with the cut ends facing in the same direction. Place the brush near the street, but not in it. Avoid placing the brush in front of or near trees, parked cars, fire hydrants, utility poles, mail boxes or other obstructions. Material cut by contractors will not be collected. Brush cut or trimmed by contractors, utility companies, or contractors hired by utility companies. Branches over 5” in diameter. Piles not neatly stacked (with the cut ends facing in the same direction). Material cleared from lots or undeveloped property. If you have any questions or would like a free load of chips, don’t hesitate to call Public Works at 575-2369.